ISIS kills 81-year-old Syrian archaeologist: Palmyra expert executed. 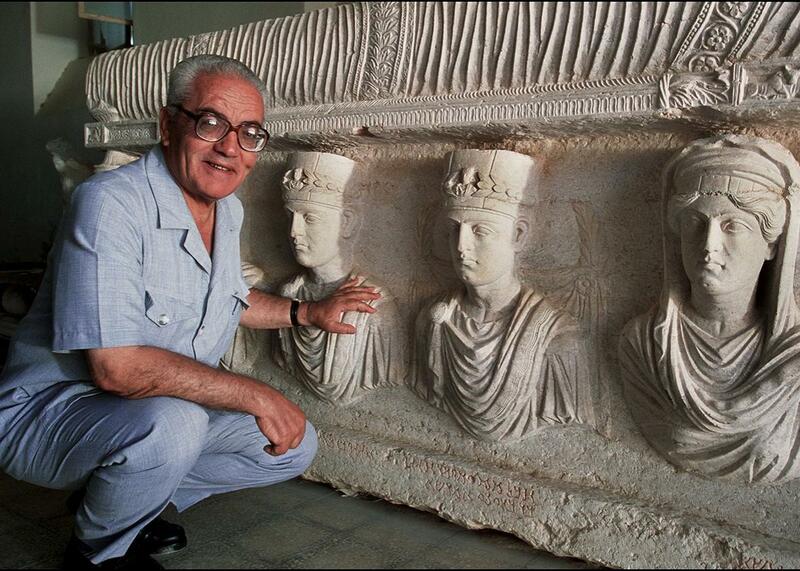 Khaled al-Asaad, the former director of Palmyra’s historic site and museum, in front of a sarcophagus. According to Syrian state news agency SANA and the Britain-based Syrian Observatory for Human Rights, al-Assad was beheaded on Tuesday in a square outside the town’s museum. The Observatory, which has a network of activists on the ground in Syria, said dozens of people gathered to witness the killing. Al-Asaad had been held by the IS for about a month, it added. His body was then taken to Palmyra’s archaeological site and hung from one of the Roman columns, Maamoun Abdulkarim, the head of the Antiquities and Museums Department in Damascus, told SANA. 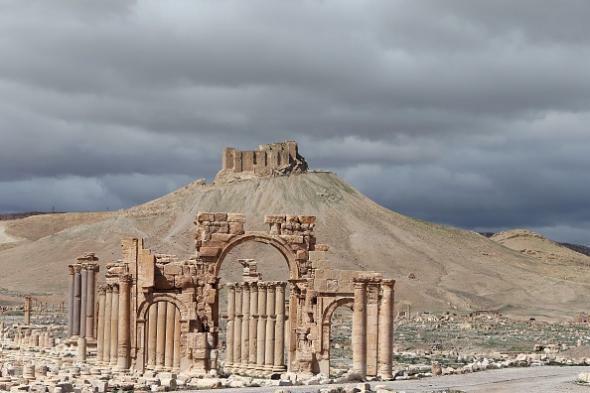 The ruins have remained largely intact since the ISIS takeover, but a statue of a lion that stood in front of a museum has been destroyed.